A young Russian, an atheist academic, realizes all his most-loved change-makers have believed in a higher power. Eg. Tolstoy, Dostoyevsky, Shakespeare, and James Joyce. The realization makes his head spin. He goes for a walk and ends up in a church–where “something” came toward him and then into him. He becomes a priest–and is now famous for loving and helping masses of people, with a book out that is getting him interviewed on mainstream television. A struggling writer decides she doesn’t want to ghost-write academic books anymore, and instead writes deeply moving memoirs that reveal her painful past, and determination for a brighter future. From here, she segues into what others call self-help, sharing what she’s learned about living your right life, and fulfilling your destiny. She becomes the most famous life coach in America. Two 19-year-olds from small-town Minnesota move to New York because they want to be somewhere they can be themselves–away from the insults and bullying about the totally unique fashions they sport on a day to day basis. One year after their sunglass designs debut, they’re already being seen on Kelly Osbourne, Lady Gaga, Nicki Minaj, Beyonce, and Serena Williams. Each of these stories have one thing in common: the heros of them all weren’t trying to become one, or trying to become anything–other than completely, honestly, and totally themselves. I like how you’ve woven these three intriguing stories together! 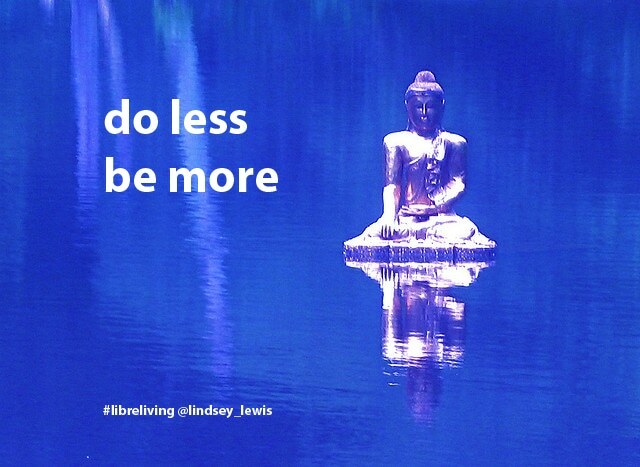 Love this Lindsey… It’s so easy to search and keep searching for something that we already have – our true selves.